This multipurpose space effectively combines a laundry room, mudroom, and bathroom into one cohesive design. 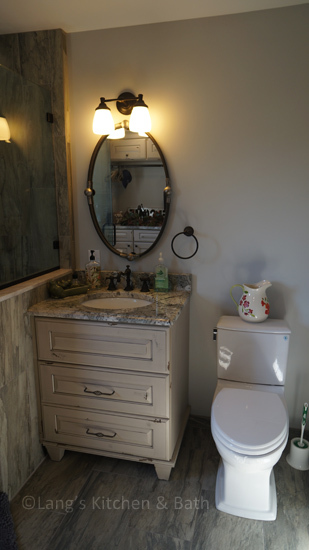 The bathroom incorporates an angled shower, heated floor, and furniture style distressed cabinetry. 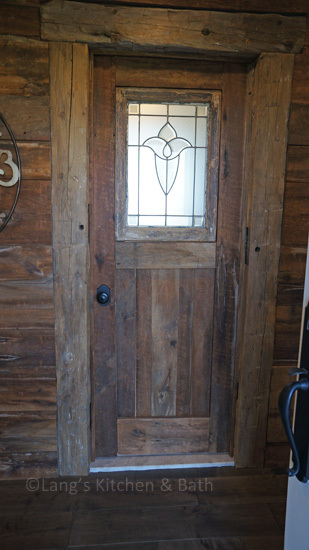 Design details like the custom made barnwood door, Uttermost mirror, and Top Knobs hardware elevate this design to create a space that is both useful and attractive. This multipurpose space effectively combines a laundry room, mudroom, and bathroom into one cohesive design. 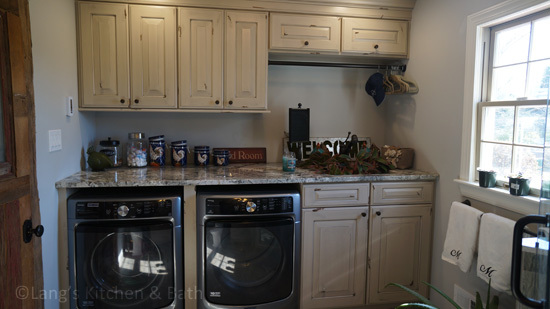 The laundry space includes an undercounter washer and dryer, and the bathroom incorporates an angled shower, heated floor, and furniture style distressed cabinetry. Design details like the custom made barnwood door, Uttermost mirror, and Top Knobs hardware elevate this design to create a space that is both useful and attractive.